When the whole world was looking hopefully to the future, along came the rose to set standards for all other roses for the remainder of this century. 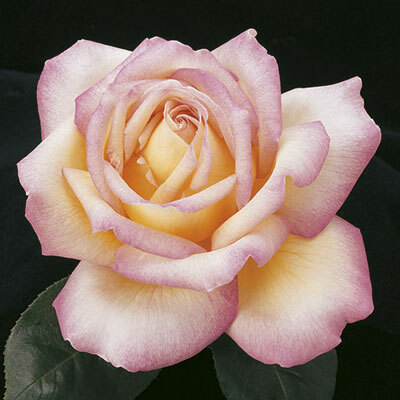 Even non-rosarians know Peace by its huge opulent blossoms, its delicious blend of colors, its very large glossy green foliage, and its easy-to-grow plant. Best color & performance east of the Rockies.